Below are ways in which to create and then add video and audio files. Currently we recommend uploading completed files into your Google Drive and then linking the resource into Moodle. To jump to instructions on linking the files, please click here. Podcasts are recorded digital audio and video files that can be downloaded or played from the Internet. Use podcasts in your Moodle course to enhance your instruction. Depending on the type of podcast you wish to create, you may not use all of the following materials. Use the following resources to create your own podcasts or access pre-recorded podcasts from the Internet. Most of the listed resources are free or already installed on university computers. All podcasts should be made accessible for students needing accommodations. For more information about how to make instructional materials accessible, see Accessibility. Certain multimedia files play in Moodle because of Moodle’s built-in media players. Other multimedia files in Moodle will play if the user has the appropriate programs on their computer or web browser plug-ins. Audio and video files that don’t play in Moodle need to be converted to one of the file formats listed below. Save the files in an appropriate format or use a tool, such as Zamzar to convert files. 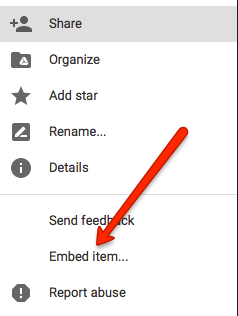 To embed a Video that has been uploaded into your Google Drive into a Moodle course, the most expedient way to do this is to copy the embed code first and then create a PAGE Resource in Moodle. Step 1: A. From your Google Drive, Click on the video to open it up. (You can stop it if you don’t want it to play while you are capturing the code.) In the upper right hand corner of the opened video, click on the three dots. Step 2: A. From the home course page, click on Add and activity or Resource. Scroll down to RESOURCES and select Page, Add. 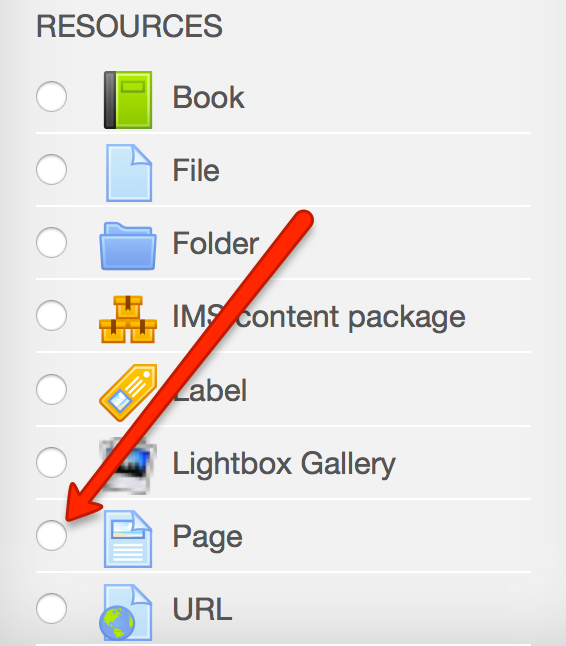 C. Under CONTENT>page content, if the menu of icons shows only one row, click the expand icon. 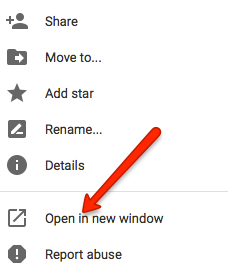 D. Click on the < > icon which opens a window for you to place the iframe embed code. E. Paste the copied iframe code into the space and click UPDATE. F. When returning to the Moodle Page, scroll down and click SAVE!